It’s not uncommon for people to ask: why the Septuagint? (That comes right after: What is it?) Why bother with the Greek Septuagint when we have the Old Testament in Hebrew, in which it was first written? English translations of the Bible in most churches use the Hebrew text as a base, anyway. 10. It helps us read Scripture in new, fresh ways. 9. You get to use fun words like Septuagint, intertextuality, collate, tradent, and urtext. Though I cannot bring myself to use the academy-preferred pronunciation of SEP-twa-jent. Sep-TOO-a-jent, thank you. 7. 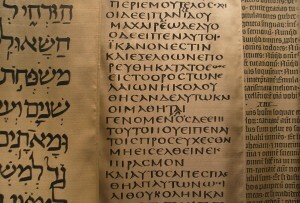 For students of Greek, the LXX is a good way to challenge oneself in Greek beyond the New Testament. There is a fuller and deeper vocabulary in the Septuagint that helps Greek students grow in their knowledge of the language. 6. The Septuagint was translated from a set of Hebrew texts that are centuries earlier than the Hebrew text underlying most English Old Testaments. This helps us get closer to the “original” text. 4. The Odes. This is a collection of texts appended to the end of the Psalms. It compiles some beautiful prayers found in the Old Testament (and apocryphal books). A few of these are in the Book of Common Prayer’s Morning Prayer canticles. 3. It connects us to the broad sweep of history in the Church. This was not only the Bible of the New Testament writers (in many though not all instances); it was the Bible of the Greek-speaking early church. 2. Books like 1 Maccabees, especially, fill out the intertestamental gap between Malachi and Matthew. Reading Maccabees can help us better understand a Jewish expectation of a conquering Messiah who would expel oppressive Roman rule. *Note: this is perhaps an oversimplification. Jesus spoke Aramaic and knew and used the Hebrew Bible. But we can at least say that the Gospel writers sometimes quote Jesus (in Greek) using a Septuagint text that differs from the Hebrew/proto-Masoretic Text. Some say this means just the Gospel writers themselves–not Jesus–used the Septuagint in such cases. But there are at least a few cases where it seems clear that Jesus is using a text closer to the Septuagint than to the Hebrew Bible. Stanley Porter defends (here) the idea that Jesus taught (at least at times) in Greek. Saturday I’ll be posting my part of a book blog tour of Timothy Michael Law‘s When God Spoke Greek: The Septuagint and the Making of the Christian Bible. The above is adapted from (and more nuanced than) a post I wrote last summer. Ha! Make that reason #11! I’ll make sure to highlight this on my blog later today. Looking forward to your contribution to the blog tour! There are two classes from my graduate studies that radically transformed the way I thought about the Bible. The first was general linguistics which has, and continues, to shape my understanding of how and why language(s) work. The second class was a Greek reading class and introduction to the Septuagint that I took last fall. I had some knowledge about the Septuagint from my undergraduate studies, having read Jobes and Silva and done a little bit of translation work in Deuteronomy for another Greek reading class. But it was in this Septuagint class last fall that I really fell in love with the LXX. I look forward to sharing more on Monday when I post my 2-chapter review of T. Michael Law’s ‘When God Spoke Greek’ as a part of the blog tour. 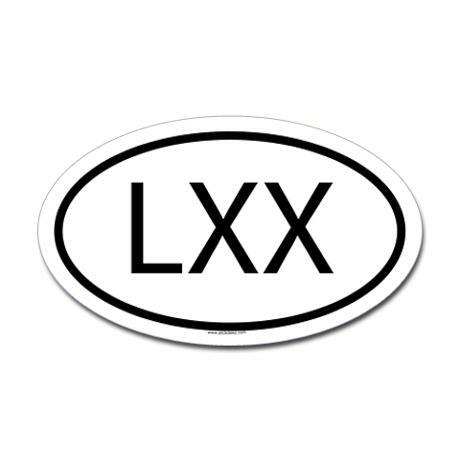 Glad people like you ARE reading and commenting about the LXX, because, quite honestly I’m not ever going to do it myself (tho I did once know enough Greek to do NT translating… very slowly!). It IS surprising to me how few, even relatively educated lay people ever think about how people accessed the Hebrew (or later the Greek) Scriptures before, during and just after Jesus’ day. A BIG majority of Christians probably don’t even know a Greek edition of the “OT” was in wide and popular usage at that time. (Nor that most people had no direct access to either it or the same in Hebrew… hearing it mainly in synagogues or by open-air-teaching rabbis, from memory). I always wondered what the deal was between NT quotes of the OT and the OT I have. Then we have the “problem” of several different LXX translations. Indeed! I will actually write more about this later today in a book review.